10Bet Casino knows how much its UK-based players love the Live Casino games. 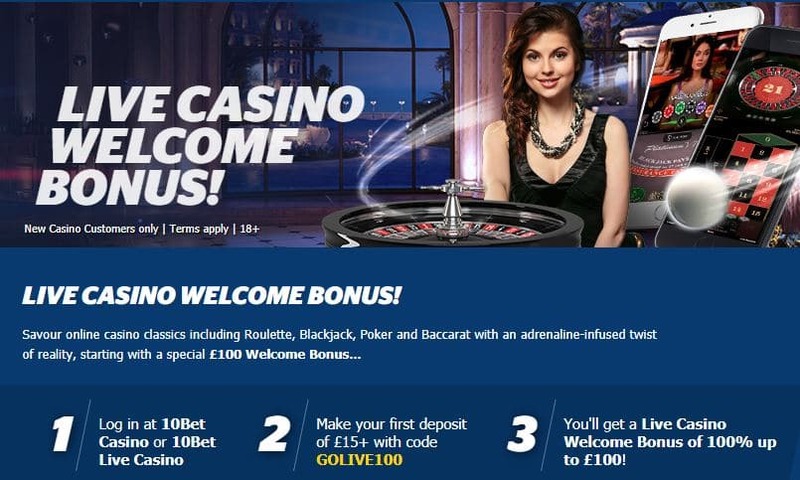 Therefore, it offers you a 100% Welcome Bonus up to £100 for this section. Create an account and make a deposit of at least £15 in order to qualify for this promotion. Get your hands on this awesome deal and enjoy Poker, Baccarat, Roulette, Live Wheel, Blackjack, and more with extra cash!